"When you abandon making choices, you enter the vast world of excuses." Oh Noes!! Robots Are Taking Over All The Jobs! 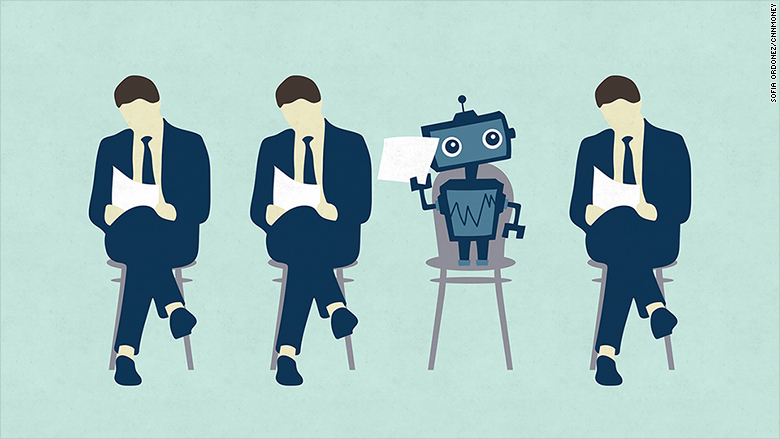 Should Technology Replace Jobs? This topic always comes up over and over again. Robots are replacing jobs! What's going to happen when automation takes over? We are seeing more and more unemployment due to technology replacing people and their jobs!! Let me state the obvious: we don't want jobs, we don't want to work. It's a good thing when a robot replaces a job. Seriously, step back and think about this from a broader perspective. If you had the choice between working or not working which would you choose? Would you rather spend your time working and doing a monotonous job or not working and pursuing your own creative endeavors? This is really what the question comes down to but we've become so limited in the scope in which we view reality that we fail to see what a job even is and what it even means. What is a job? Why do we have jobs? Why doesn't everyone just not work? Well, we have jobs because we have certain needs that need to be met in life. We need food, we need shelter, we need clothing and various other things so that we may go through our daily existence. These things don't just magically fall out of the sky for us to use. The air might be plentiful and free, but food, shelter and many other necessities just aren't. We have to go out and collect, grow and create these things in order for us to continue living. And doing these things requires labor, some type of work. If we need to eat then we can either grow the food ourselves, or we can do something else that will make us money so that we can buy the food. Either way we are doing some type of labor, whether directly for food, or indirectly for money, to get food. This is because food is not free and we need to exert some type of labor to get it. Now what if instead of us getting the food with our labor we created technology to do this instead? What if instead of us planting the food, watering the food, and picking the food manually we instead invented a way to automate this? What if instead of exerting manual labor to cultivate food we instead had a machine do all this for us? Well, now we are talking about increasing our standard of living. Now we are talking about doing less labor ourselves and instead having a labor saving device doing the work for us. Now we are talking about working with our mind instead of working with our hands. Now we are talking about actually having more free time to pursue other interests while the machine takes care of our immediate needs like food. If we were to step back and look at food production with just 1 person growing their own food it should be quite obvious as to the benefits of a machine automating this task. 1 person could spend their entire day fumbling around with farming their own food, or they could have a machine do the work and spend less time. When we are looking at just 1 person it is obvious that a machine is making the person's life easier. You would much rather have a machine grow your food than do the growing yourself. It takes less time and it is more productive to replace yourself with a machine. This is a technological advancement. We can even make it more basic. Let's look at fishing. If we were stranded on an island all by ourself we would need a way to get fish to eat. We could do the least technological method which would be using our hands to try to catch fish. This may work but it would be extremely difficult and take lots of time. But what we could do is instead innovate and use technology to make our job easier. We could instead invent a fishing pole and now sit back and wait to catch a fish this way. We would render our old method of catching a fish by hand obsolete as we came up with a more automated and technological way of catching fish: with a fishing pole. We would now have even more time to be productive doing other things. We would free ourselves from the hours spent fishing by hand to instead have time to perhaps read a book or do something else while we wait to catch a fish with our fishing pole. And of course we can automate this further too. While the fishing pole is an improvement over fishing by hand, it doesn't mean that it is the best way. There is always a better way. Suppose now we come up with the idea of using a net to catch fish. Now, rather than using our hands, or rather than using a fishing pole we instead invent a net and simply wave that through the water to catch a lot of fish in a very short time. Once again, we have automated and used an advancement in technology to increase our standard of living. Once again, we have even more free time to pursue other interests as our more immediate needs have been automated through technology. We have replaced work with innovation. 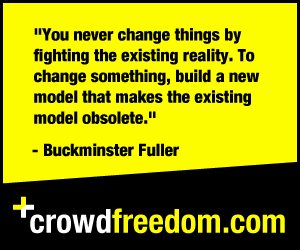 We have rendered our old job useless in order to improve our standard of living. Your jobs are belong to me!! But what about lots of people and lots of jobs? When you break it down at the core it can be quite easy to see how automation is a good thing for the individual. But for some reason when we are talking about lots of people and a larger economy we think this principle no longer holds true and that it breaks down. It is the exact same principle regardless of how many people are involved. I repeat, an advancement in technology is a good thing overall, regardless of how many people there are. Allow me to further explain. Okay, in a larger economy there are many more things that need to be done and many more desires by people. We have people who want food, clothing, entertainment, cars, phones, vacations and so on. The list of products and services provided through an economy are endless. And in order to create these things people need to actually create them. The creation of these things is usually done in the form of human labor. Humans will spend time creating various things and making sure that certain products and services work. And once they make these things they will trade them with other people. This is how a basic economy works. People specialize in different industries, usually relative to their preferences and strengths, and then create in this industry and trade with others in other industries. Everyone has the freedom and capacity to grow their own food if they want. Everyone has the capacity to create any product or service they want and offer it to others in a trade. But not everyone wants to spend their time doing this. Growing food can be challenging sometimes. Sometimes the weather may not go according to plan and you may lose your harvest. Sometimes you may have trouble selling it to another person if people's preferences change. There are endless variables that make the creation of any product or service risky and challenging to one degree or another. And people inherently know this which is why most people don't start or run businesses. Instead most people would rather work for a business. And in doing so the people agree to receive a wage for the labor they perform. This is what a job is. Now remember, a job isn't something that is intrinsic to life. A job is a man-made thing that we created. There isn't a universal law that says there should be 100% employment. What would that even mean? A job is simply a human construct that we use to pay somebody who supplies labor to fulfill a specific task. Okay, so a job is a voluntary thing that people are choosing to do as opposed to taking on the risk of not having the job and finding a way to survive otherwise. We could not have a job and instead trade something we create directly with others in the market, but this is a bit more challenging than simply having a job. A job provides a bit more security at the cost of not quite making as much money as being the owner. So most people choose to have a job, especially starting out in life. Now, when we talk about terms like employment or unemployment these terms really mean nothing. Being employed or unemployed is not the correct way to look at something. Again, a job is a human construct that doesn't measure quality of life. We should measure how good or bad life is not by how much employment we have, but rather the quality of life that people live. How old are people living to? How many necessities of life to people have access to? How well is the health of people and how few diseases are there? How much free time do people have to pursue their own individual interests? These are the true scales we should be using to measure things, not simply labels like employed or unemployed. Put another way: we could have 100% employment if we all walked outside and started digging ditches and filling them back up over and over again. We are all employed but we aren't providing any value and consequently we would be getting paid very little if anything because of this. Alternatively, we could have 0% employment if all our needs like food, shelter and clothing were all provided by machines. This would be 100% unemployed but it would be a good thing. So you can't look at employment vs unemployment. You can't look at how many jobs there are or how many jobs are created or destroyed. These are completely irrelevant because their definition is relative. Is a job that pays $1 an hour the same as a job that pays $100 an hour? It's all relative and rather than looking at jobs we should look at quality of life. After all, we don't work a job for the money. We work a job for what the money buys. And if we can have what the money buys without the job or the money does the job matter? Stop and really think about that for second. Why do we work? Why do you work? We should measure the free time people have. We should measure the luxuries people have. We should measure things outside of the job itself. We should measure what the actual job itself is supposed to provide us. Every time we create an advancement through technology that is a net gain to society as a whole. We want to advance, we want to find ways to use technology to replace us. The more we do this the more our standard of living increases. Again, we could always go back to what it was before. We could always go backwards and remove the technology and instead live like we did 200 years ago. How about we create greater employment by going back to 200 years ago where we used to farm, had no communication tools, no Internet, no TV, no cars, no planes and no electricity even? Is this really the direction we want to go? Would we rather have a job back then that let's us live that standard of a living or no job now that let's us live our current standard of living? We are better off working some crappy $10/hr job today for 30 hours a week than working some high-end job 200 years ago. We live a better life. Most poor people in America today live better than a king in Europe 200 years ago. And this better life is a result of somebody losing their job due to automation. Sure, it may have an impact on the person who just lost their job, but there are 2 sides to it. When somebody loses their job due to automation the people who actually buy from that industry just got that product for cheaper. Let me make it more clear. We have lots of different industries with people working different jobs in all of them. There are two sides to every trade. Theres the buyer and the seller. When somebody buys shoes they may pay something like $50 for them. When somebody sells these shoes they may receive $50 for them. There are 2 sides. Now if due to a technological advancement in shoe manufacturing somebody found a way to make this same shoe with a machine, instead of human labor, for $20 then the person who used to build these shoes may lose their job. But the person buying the shoes on the other end just had a huge increase in their purchasing power. Now rather than paying $50 for shoes they instead pay $20 for the exact same shoes. Now the buyer's money goes further. Instead of paying $50 for the shoes they now pay $20 and use the $30 in savings for other purchases. And then of course, the person who lost their job may no longer have this job, but the other thousands of markets that create products and services in which they're the buyer are also having this same falling of prices happening over and over again. So while they may no longer have a job, the money they received during their job now goes further in other industries. Their money goes further too. They're able to buy things for a lot less money also. What is happening here is the exact same thing that happened when a single person invented a fishing net to make their task of catching fish more productive. We just increased the standard of living. And part of this may be re-allocating the jobs that people have. When somebody invents a fishing net to catch fish the old job of human labor being used to catch fish by hand is longer necessary. But now this person who was wasting their time catching fish by hand is now freed up to do something more productive elsewhere. They will also be enjoying the benefits of all the other industries following the exact same technological advancement path. This isn't an overall loss or a zero sum game. This is an overall gain. This is a net gain. This is an overall win for everyone in society when technology advances. Sometimes the advancement will come in your industry, most of the time it will be in others that you are not a part of. But by increasing the efficiency and productivity everywhere we see continuous incremental increases in our standard of living. This is the better methods for doing tasks working their way into the market and reorganizing people who perform the labor in more productive ways now. And sometimes the people won't be needed at all anymore. And this is good because they experience these more productive technological increases in lower prices when they spend their money. And often times, things become so productive that things are actually free. If you think about it, we're obviously heading towards 0% employment. The goal is to have 0% employment and this is where we are heading. We may never reach this, and we may always need some form of human labor to one degree or another, but we have to understand that this is the direction and understand why it is a good thing. Again, we can always go back to living in the "good ol' days" when we had higher employment. But would you really want to live 200 years ago instead of today? Would you want to get sick 200 years ago or today? Would you want to go back even further to 5000 years ago where we didn't even have a market and instead you could hunt your own food? How far back do you want to go, or would you rather just advance forward? We just need to look beyond the labels and instead into the standard of living. This is all coming from somebody who lost many jobs first hand due to technological advancement. I work in the Internet industry. I've experienced my job being decimated to both outsourcing and automation time and time again. When I started out 15 years ago or so I could build a website for somebody for $2,000 easily. I could spend a few weeks building a website and pocket $2,000 without much fuss. People would gladly pay the money because a website was really valuable and in short supply. Not a lot of people could build sites, especially good ones. But of course that has totally changed. Through competition, outsourcing and automation the price of a website has continued to drop lower and lower until now you can actually get a website for free. Yes, you can get a website for free. And the websites you get off Wix or any of these free services are better than the websites I used to build for $2,000 15 years ago. This is what free markets do. And I've been at the "losing" end of it. But it's not really the losing end. It's just the change in the way things are done. People needed websites before and I was able to fill that need. Now that need has been filled with technology so I am no longer needed. So I then reallocated myself into the marketing side of the Internet. Once everyone had a website the problem was no longer having a website, but having no traffic. Now traffic was the product that people needed. So I shifted from building websites to marketing websites. And the cycle continues on and on as needs arise and needs are met. And all the while I am experiencing this in all other industries too. We would see prices fall a lot more in other industries were it not for government intervention. We see prices falling so much in the tech industry not because it has to do with computers, but because it is the least regulated and most free market around. If medicine and transportation were as free as the Internet we would see the exact same thing in these industries. Innovation isn't only unique to one market, it can and should happen everywhere. So if you got sick and needed a pill, rather than paying thousands of dollars for a 30 day supply you would instead pay $1. This is how it should work under the free market, the same way it does in Internet. Think about it, why are you able to get a website for free these days but not a pill? Why can't you pay for the price of the pill itself the same way you pay for the price of a CD with information on it? How hard is it to burn a CD? How hard is it to "burn" a pill? It's not hard or costly at all. And if we truly had a free market in medicine the prices for important life saving pills and medicine would be so incredibly cheap that we would care less about losing jobs because our money would go further in industries where it matters. And of course what happens is this skews people's understanding of jobs and markets in general. People see one industry like medicine remaining artificially high while another industry like tech naturally becomes cheaper due to little regulation. This creates an imbalance, and people who lose jobs in one sector have a harder time affording products in another sector that are artificially high due to government interference. And then you have people that just become confused and upset because they are unable to correctly break down all the various causes creating various effects. That's a completely different topic, but worth mentioning because it plays into the fears and misunderstanding people have about technology replacing jobs. So yeah, that's my take on the issue and hopefully you got something out of it. I've looked into this greatly and studied it heavily. I've also been on the receiving end of having my job destroyed time and time again. I get how it happens, why it happens, and why it is perfectly normal and why it's important for society to move forward. Every time my job is destroyed somebody else just got whatever I was doing for less money. And when somebody else's job is destroyed I just got what they were doing for less money. And if and when all jobs are someday destroyed we will automate ourselves out of needing a job in the first place. Do you want 0% employment with 100% time to do what you want or 100% employment with 0% time to do what you want? Look at the big picture. You're always going to need people to service the robots and take care of them. So there is always going to be a need for humans.